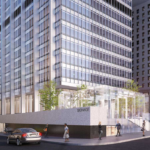 Update 7/27/16: CB1 voted yesterday to table the resolution modify the site’s deed restriction to allow for more public review of the proposal. To demonstrate the proposed changes for the public, a tour of the site will be offered. 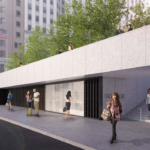 The tour is provisionally scheduled for early September 2016, before CB1’s Financial District Committee’s follow-up meeting on the issue. 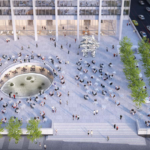 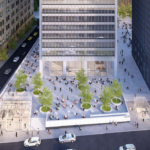 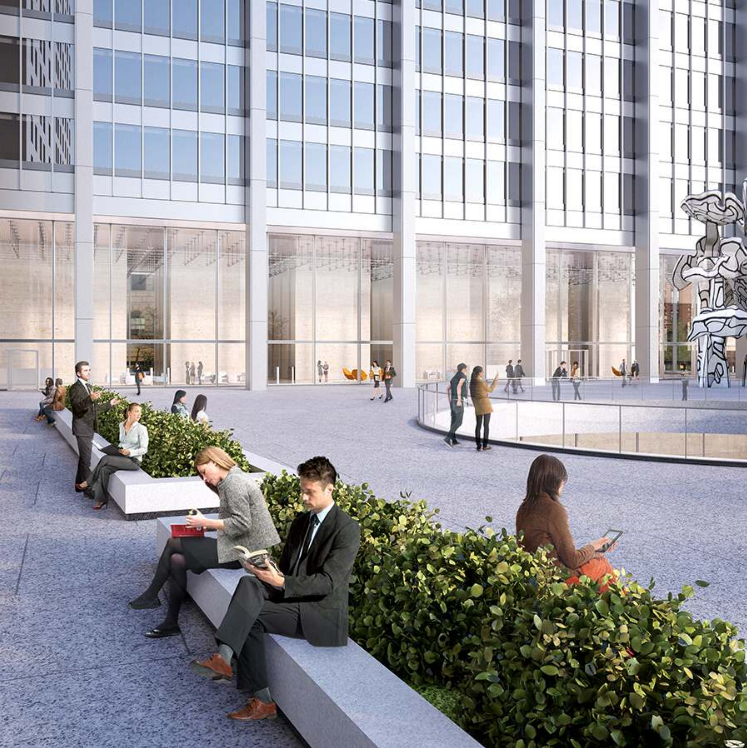 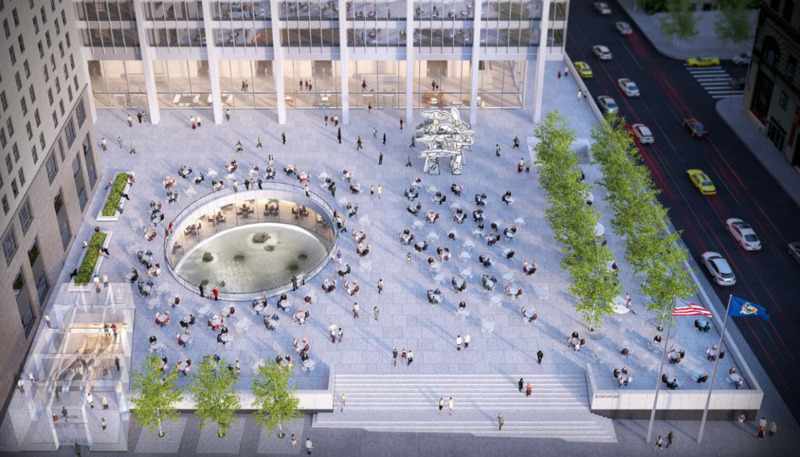 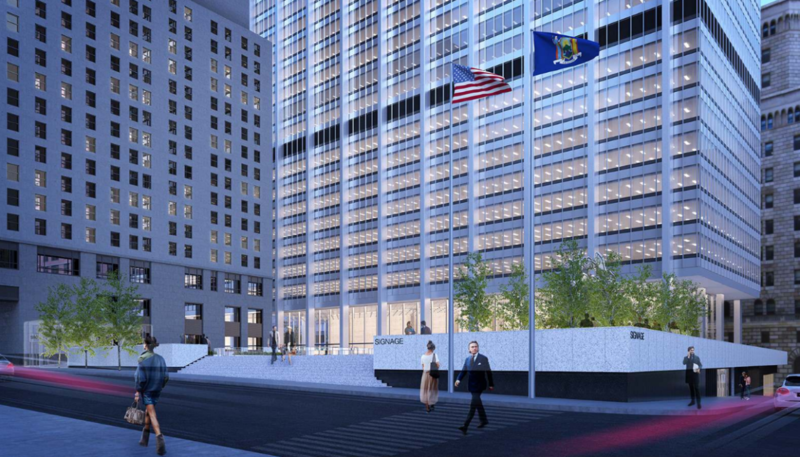 In lower Manhattan, some residents fear that SOM’s take on a classic SOM design will compromise the character of one of the city’s best-known International style plazas. 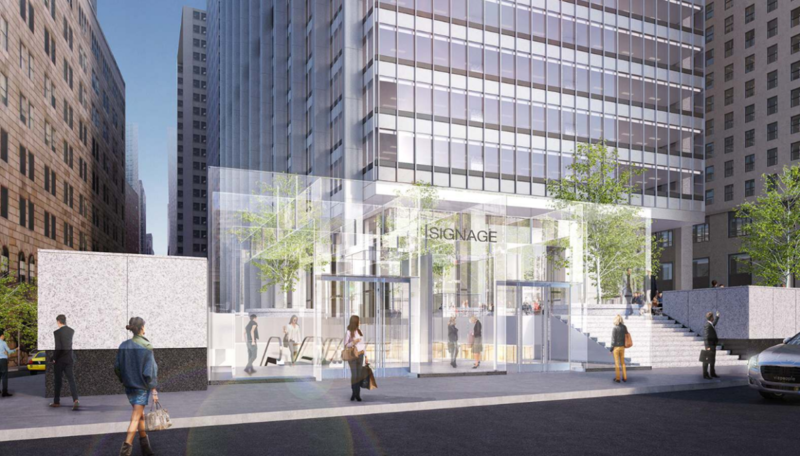 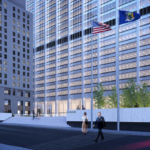 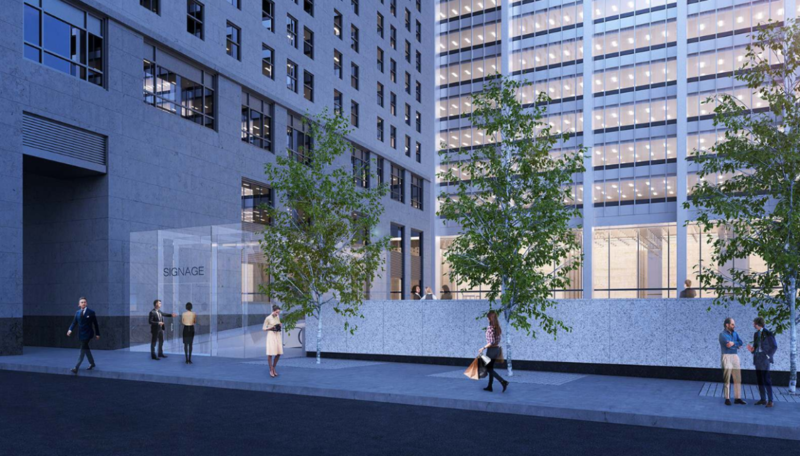 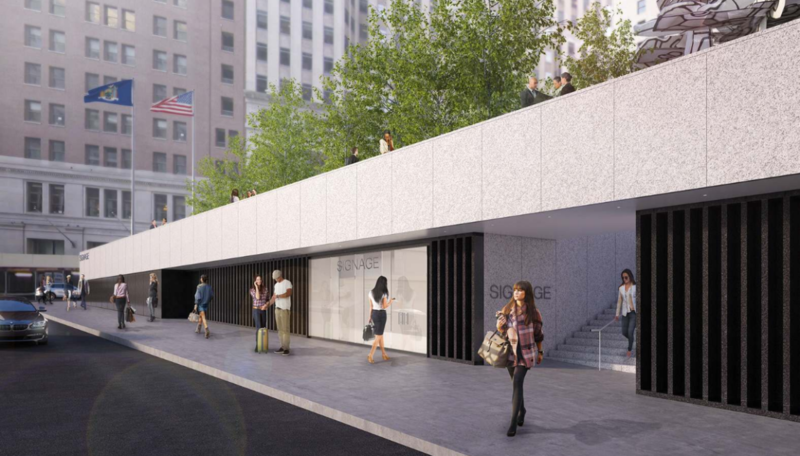 Manhattan Community Board 1 (CB1) is voting on a resolution tonight to remove the deed restriction on the SOM–designed 28 Liberty Plaza (formerly One Chase Manhattan Plaza) to allow for three glass cubes—entrances to basement-level retail—to be built on the landmarked site. 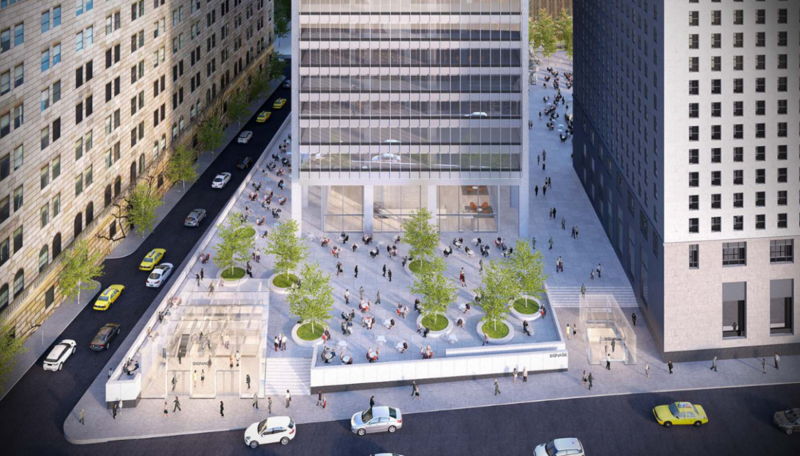 SOM designed the 2.5-acre plaza and adjoining tower in 1964, introducing the International style to the Financial District. 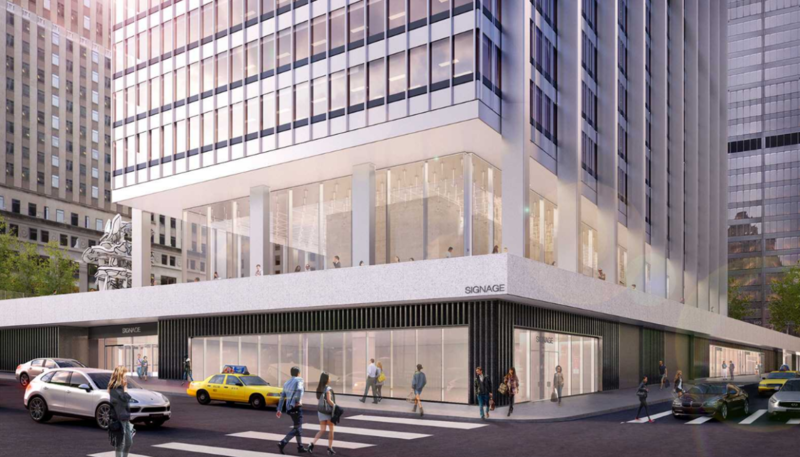 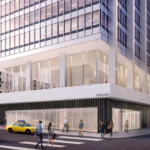 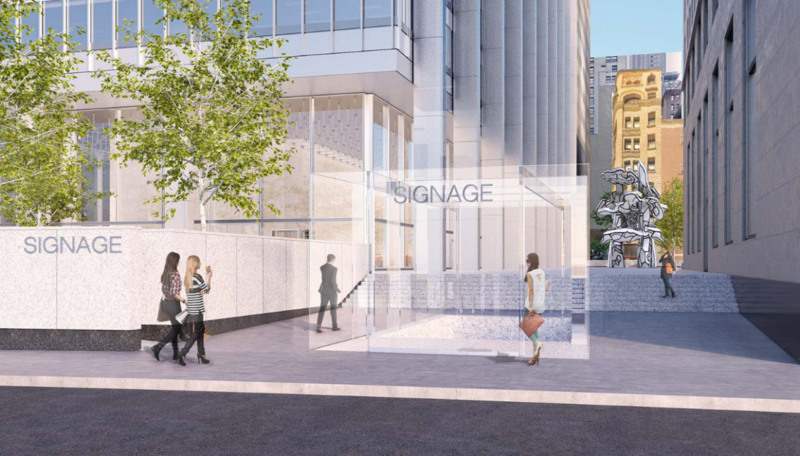 The firm is now leading the site’s redesign by updating the tower’s office space, reincorporating historic details lost in prior renovations, and converting 200,000 square feet of disused space underneath the plaza to retail. 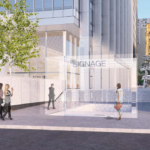 Apple Cube–like glass pavilions installed in the plaza will signal the below-grade offerings to passerbys while allowing additional points of access. 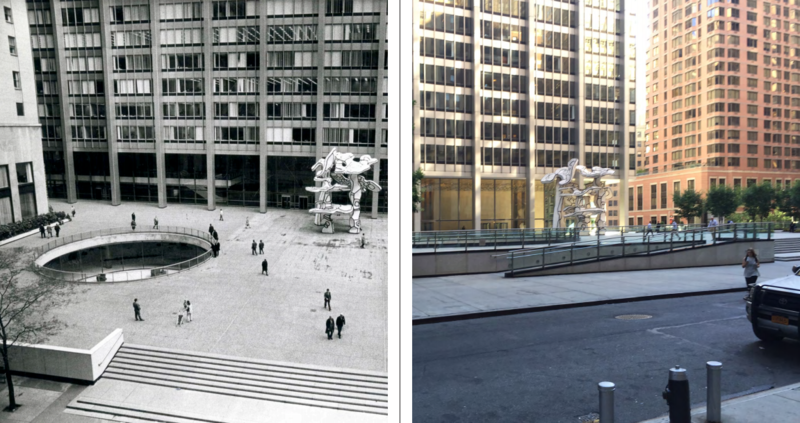 Last August the Landmarks Preservation Commission (LPC) approved changes to the plaza. 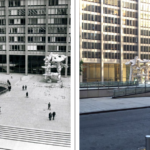 Adaptively reusing the basement enables restorative measures like reinstating the parapet that once encircled the plaza, cleaning and restoring the Noguchi sculpture on-site, and eliminating non-original air intakes on the plaza’s north side, he explained. 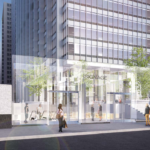 Modifying the site’s deed restriction clears the way for the proposed development. 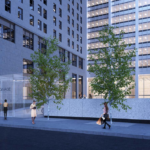 When reached for comment, Blank noted that if the deed is modified the return on investment for Fosun is high, and the public should have additional opportunities to weigh in on whether these changes offer an equitable exchange. 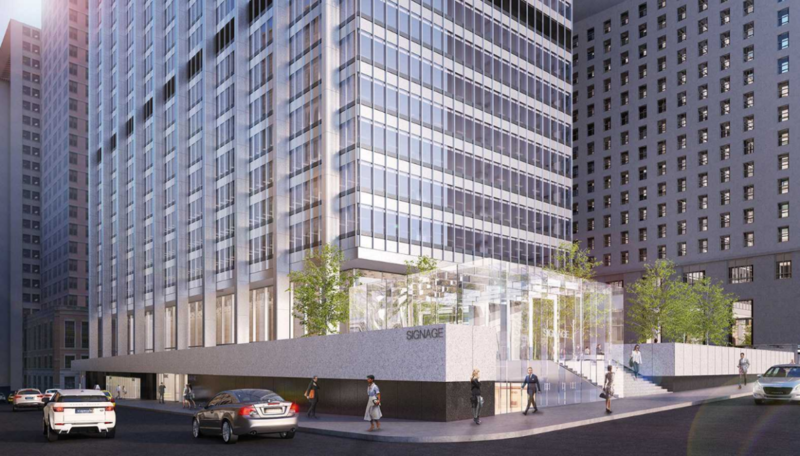 For those wishing to weigh in tonight, CB1’s meeting begins at 6PM in the DC37 – Auditorium at 125 Barclay Street.